When the North Carolina Senate elected Tom Fetzer to the UNC Board of Governors in March, it was widely seen as another in a series of GOP appointments designed to tilt the board – and the 17-campus system it oversees – in a more conservative direction. Fetzer – an influential lobbyist from Wilmington, former mayor of Raleigh and past chairman of the North Carolina Republican Party – left little doubt about that during a speech during the board’s contentious September 7th meeting. 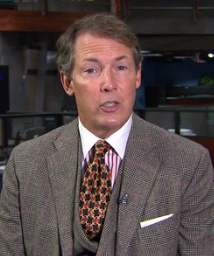 He quoted conservative icon Margaret Thatcher, the combative former British Prime Minister, in her dismissive characterization of the very idea of political consensus. Like the N.C. Senate that elected him, Fetzer made it clear that the more conservative wing of the almost entirely Republican board does not just consider political consensus inefficient or unnecessary but a sign of political and moral weakness. Given the last few years of board upheaval, the speech did not come as a surprise to many. It did, however, make it clearer than ever that despite some board members’ claims to the contrary, politics is now very much the driving force on the board of governors. The UNC Board of Governors has never been strictly apolitical. The state House and Senate elect its members, with half serving staggered terms and with elections in odd-numbered years. This means seats on the board have traditionally been held by politically active business leaders, well-connected donors to the state’s majority party and prominent alumni of the 17-campus system, considered one of the best in the nation. But for decades the UNC Board of Governors was fairly non-controversial. The UNC system president, along with the chancellors of the individual schools, was largely responsible for direction and operation of the schools. Disagreements, when they did occur, were usually down to details of growth or downsizing, new construction or the addition of schools to the system. But since 2010 – when Republicans won a majority in the state House and Senate for the first time since 1898 – the board has more closely reflected the political will of the legislature, leading to dramatic moves by and changes to the board that have made it more contentious and nakedly partisan. * The ouster of the system’s widely admired President, Tom Ross. 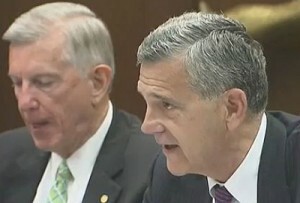 Then- board Chairman John Fennebresque (right). The board asked for his resignation in early 2015 without explanation, saying the move did not reflect his performance or abilities but that new and different leadership was needed. Ross, a prominent Democrat, was formerly executive director of the Z. Smith Reynolds Foundation, which financially backs a number of progressive organizations (including the N.C. Justice Center, parent organization of N.C. Policy Watch). A number of board members objected to the ouster, which they claimed was instigated by then- board Chairman John Fennebresque without their knowledge. E-mails to the board showed Fennebresque receiving congratulations from prominent conservatives and GOP elected leaders upon Ross’ ouster. * The installation of Margaret Spellings as Ross’ replacement, a contentious process that led to divisions on the board and tension between the board and the General Assembly. Board members and lawmakers contended that no other candidates were seriously considered and that the selection process was not transparent, even to all of the board members. Fennebresque, who was widely criticized for the process, resigned shortly after Spellings was named UNC President. Spellings spent much of her career working for former President George W. Bush and had little experience in higher education. She has repeatedly bumped heads with the board and GOP lawmakers during her rocky tenure, leading to persistent rumors that she will leave the position. * The General Assembly’s decision to downsize the board from 32 to 28 voting members this year, then to 24 members in 2019. Lawmakers, board members, students and faculty criticized the move and expressed concerns that it would lead to even less diversity on the board, which is already heavily white, male and Republican. The Senate’s last ten nominees to the board included just one woman and two Black men. 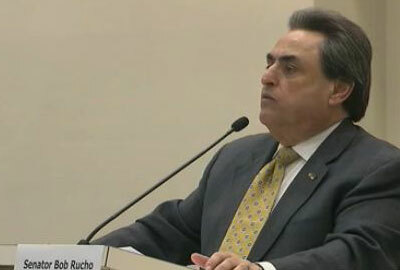 Former state Senator Bob Rucho is among the newest members. * The appointment of a large number of former GOP elected officials and lobbyists. Roughly three-fourths of the current board is Republican – not necessarily unusual, given the continued Republican majority in the legislature which appoints them. But the current board includes five former GOP state legislators, including former state Senator Bob Rucho. 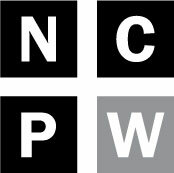 * The board’s decision to end three academic centers to which conservatives were strongly opposed: The Center on Work, Poverty and Opportunity at UNC-Chapel Hill; East Carolina University’s Center for Biodiversity; and N.C. Central University’s Institute for Civic Engagement and Social Change. The Center on Poverty, Work and Opportunity and its director, UNC Law Professor Gene Nichol, were particularly strong in their criticism of the GOP-led legislature and former Gov. Pat McCrory, a Republican. The closures were condemned by faculty, students and administrators as a politically motivated attack on academic freedom. * A vote earlier this month to ban litigation at UNC academic centers that prevents the UNC Center for Civil Rights at the UNC School of Law from doing legal work on behalf of low-income and minority groups. The move was debated for months and opposed by faculty and student organizations as well as UNC Chancellor Carol Folt, who called the center’s work vital. Board members said they didn’t want a center associated with the university suing the state or local governments, even though it is funded through private donations. 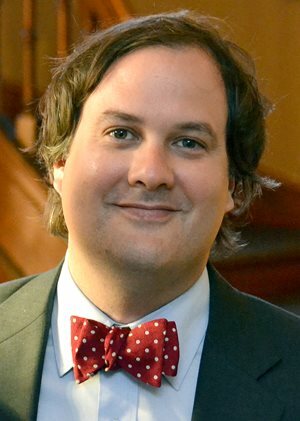 Enrique Armijo, a professor at the Elon School of Law and UNC School of Law alum, said the end of the Center on Poverty, Work and Opportunity and demise of litigation through the Center for Civil Rights are blows to the university’s reputation and appear to be transparently political maneuvers. The wresting of the direction of schools and their work from faculty is likely to harm the morale of current faculty and make it more difficult for schools in the system to retain and recruit top talent, Armijo said. “People who might think about teaching at one of the top public law schools in the country might see this and think twice about it,” Armijo said. Universities and law schools should be able to define their own missions and make decisions free of political considerations, Armijo said. When decisions like this don’t emanate from students, faculty and administrators, but from political appointees closely allied with one political party, he said, they’re less likely to be seen as legitimate. Marty Kotis, a UNC Board of Governors member now beginning his second term, said that sort of criticism comes from an attachment to the way the board used to operate. Kotis is a Republican and prominent GOP donor from Guilford County who helped build his family’s restaurant and real estate holdings into a successful high-end development company. He said the shift on the board is more cultural than political. Last month the board ended up airing disagreements in public again when it waded into the ongoing controversy over Confederate monuments. Before a rally to oppose the “Silent Sam” statue on the campus of the Chapel Hill campus, Chancellor Carol Folt and UNC President Margaret Spellings sent a letter to Gov. Roy Cooper saying they believed the statue posed a threat to public safety due to the unrest and that the statue itself could be in danger. Such a situation could allow the state Historical Commission to approve the removal of the monument, despite a 2015 law that would prevent its removal under most circumstances. The commission meets Friday to take up the Confederate monument issue. The UNC Board of Governors’ seven committee chairs met to discuss the issue with lawyers before Folt and Spellings’ letter was drafted. But 15 of the board’s’ 28 members reacted to it with a letter of their own, saying the board should have been consulted before their letter was drafted and that they oppose the administration’s position on the issue. Kotis signed on to the second letter and said the first should never have been sent. Protests or the potential toppling of a statue – as occurred in Durham last month – should not dictate university policy, Kotis said. 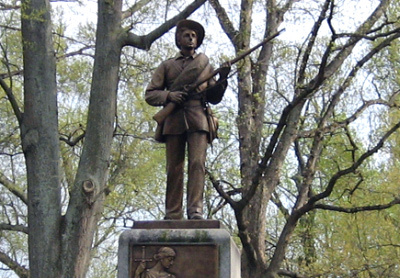 Kotis declined to comment on the threat of a federal lawsuit by UNC students if the statue – the only Confederate monument on a UNC campus – isn’t removed. But he said he opposes its removal, which he sees as an attempt to alter history. Other observers have noted, however, that the statue itself – which was originally erected and dedicated by supporters of white supremacy – represents an attempt to alter history in its celebration of a cause rooted in racism and the preservation of slavery. More than $41,000 has been spent to secure and maintain the monument since 2014, including costs for removing political graffiti. UNC Chapel Hill Student Body President Elizabeth Adkins called on the board and administrators to remove the statue in a statement to Policy Watch this week. The UNC Board of Governors next meets on November 3. It is expected to take up a list of several issues and initiatives identified at the board’s last meeting that was, according to a number of board members, put together by the group’s most conservative faction without consulting all members.